Come January 1, devotees visiting the Kanaka Durga temple will have a dress code on the lines of Tirumala temple. VIJAYAWADA: Come January 1, devotees visiting the Kanaka Durga temple will have a dress code on the lines of Tirumala temple. 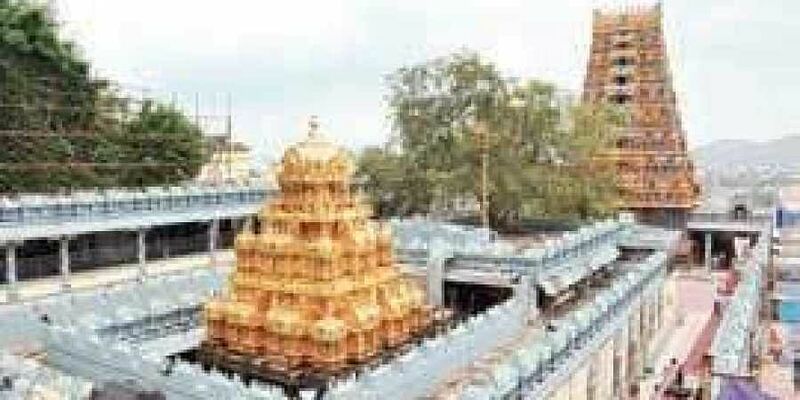 The temple authorities had decided to make dress code compulsory for devotees in a bid to protect the sanctity of the temple, considered the second biggest temple in the State after Tirumala. According to temple officials, the Sri Durga Malleswara Swamy Varla Devasthanam had proposed to introduce a dress code for devotees on several occasions, but couldn’t due to a variety of reasons. In the recent trust board committee meeting, several members appealed to temple executive officer V Koteswaramma to make dress code mandatory with a section of devotees coming to Durga temple for darshan attired in modern outfits spoiling the temple’s sanctity. However, the EO didn’t take any decision during the meeting and assured the members of implementing the dress code after taking the opinion of the temple Vedic committee. Even as the issue of dress code is being mulled, the issue gained prominence with some members of Indian Women Cricket team entering the hill shrine a week ago wearing modern outfits hurting devotees’ sentiments. Taking a serious note of the issue, Kotewaramma directed officials concerned to make necessary arrangements in creating awareness among the devotees over the dress code. “Once the devotees enter the Durga temple premises, they should be spiritually attached to the Goddess and not on indecent attractions,” Koteswaramma said.